Dru Yoga will give you the tools to transform your life so you can make a difference to the world! 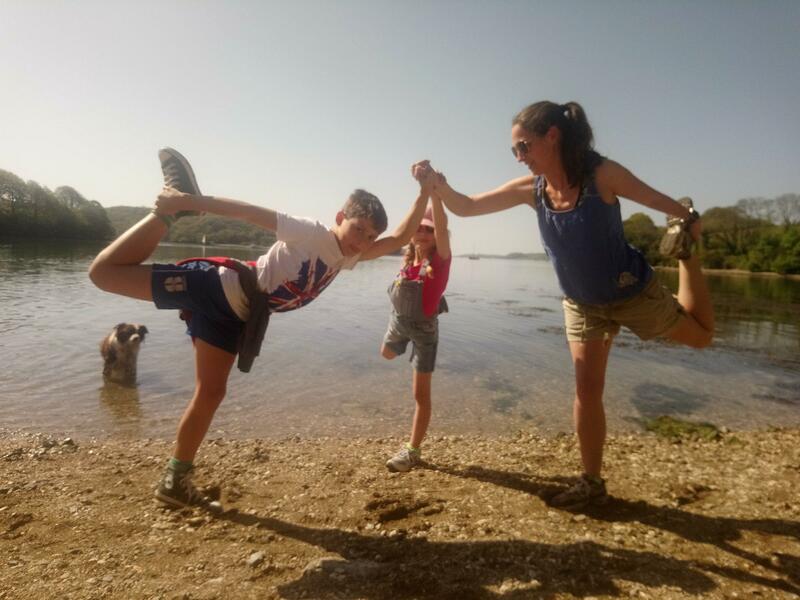 Discover the power of Dru yoga teacher training courses, postgraduate training, tasters and workshops in the Southwest. 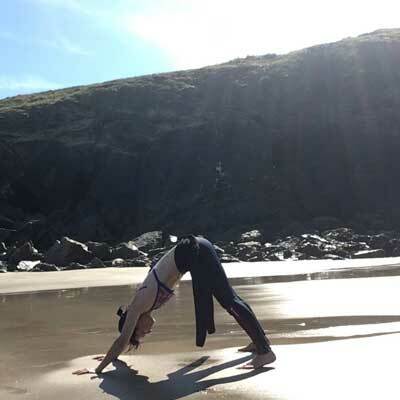 Take your yoga practice wherever you go! Dru attracts many people, because anyone can do it, regardless of age, body shape or ability. 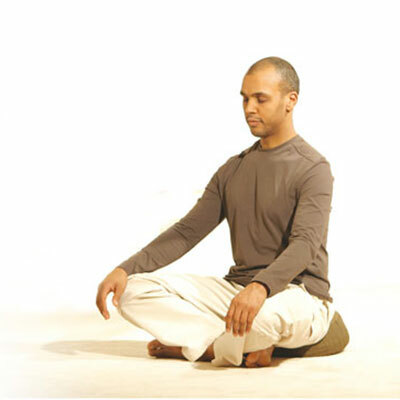 Dru Yoga is based on soft flowing movements. It is deeply relaxing, yet rejuvenating. It can take you to any level of fitness you’d like, improving your strength, flexibility and building core stability. 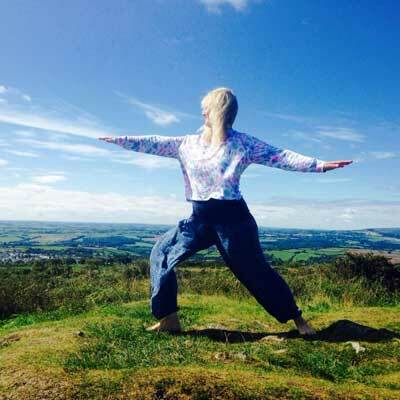 Dru Yoga specialises in integrating your body, mind and spirit, helping you to positively transform how you think, how to keep your emotions uplifted as well as how to revitalise your body. You will always feel great when you do Dru! Dru comes from the Sanskrit word dhruva, which refers to the stillness that can be experienced in Dru Yoga and Dru Meditation. 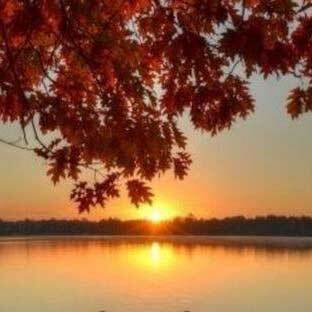 From this point of stillness we see and act from a point of clarity and inner calm. So whatever your age and ability, Dru Yoga and Meditation will suit you. Whether it is in a class situation or a private 1 to 1 session where you will have a session tailored to your own individual needs, you will benefit. You will have fun, meet like-minded people and leave the stresses of the day behind. So, roll up your mat and come along! Be in nature. Be yourself. Just be! 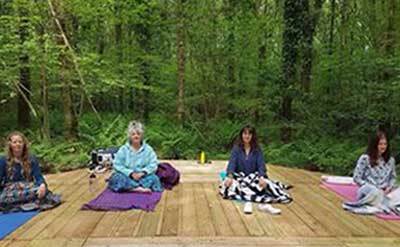 Whatever your day has brought you, a Dru Yoga or Meditation class is just what you need! A Dru Yoga or Meditation class is the perfect way to unwind after a stressful day. Our Dru Yoga & Meditation teachers will help you to strengthen your body and calm your mind resulting in a happier, healthier you. Using classical yoga postures, sequences, breathing, relaxation and meditation techniques we help you keep mind, body and soul healthy and in balance. Family, friends and everyone you meet! and everyone around you will feel the benefits! A happier, more relaxed and even-minded you, will rub off on others too. Dru Yoga not only positively affects your relationships with others, but also with yourself. The Southwest Dru Yoga teacher training course is not only for those who want to teach yoga, but also when you want to develop yourself. Be the YOU you want to be! The Dru Yoga teacher training course is more than that. Meeting up with fellow Dru Yoga teachers in the Southwest, I feel really inspired and confident about my teaching again. It is always good to meet up with other yogis to share yoga and chat. 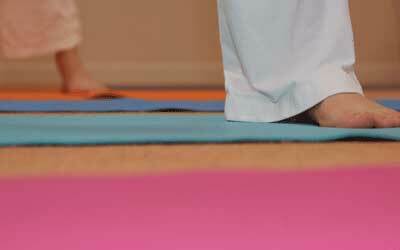 No matter what age, shape or size you are, you’ll be able to do Dru Yoga. You won’t need to compare yourself with anyone, the emphasis is on you. Discover how the ancient science of Ayurveda can add so much to your life. 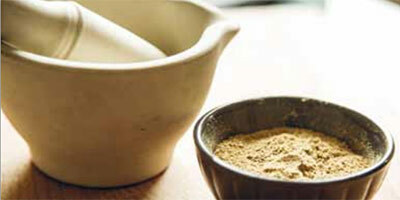 See at top of the page for Ayurveda workshops in the Southwest. We also regularly run amazing Ayurveda retreats in our glorious mountain retreat centre in beautiful Snowdonia.